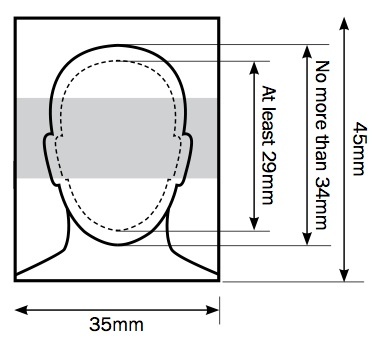 Passport photo must be measured 45 millimetres (mm) high by 35mm wide (the standard size used in photo booths in the UK). Head size must be between 29 mm and 34 mm. Children under 6 do not have to be looking directly at the camera or have a plain expression. Children under one do not have to have their eyes open. You can support their head with your hand, but your hand must not be visible in the photo. 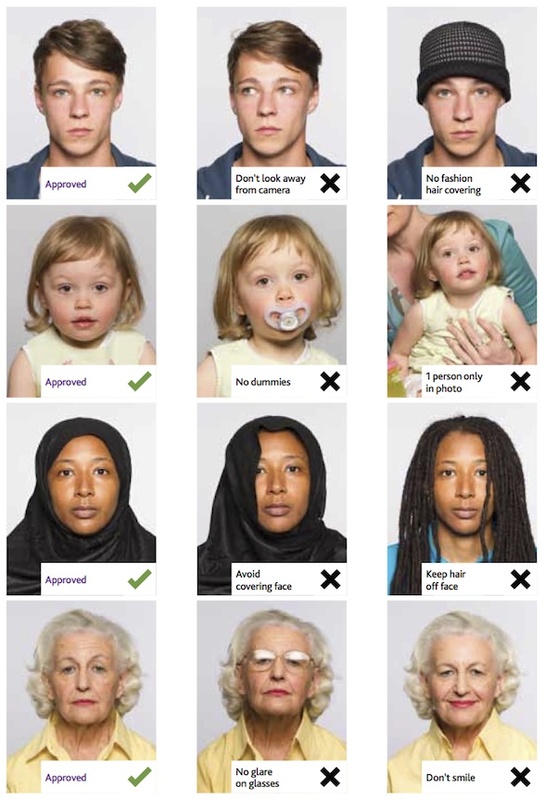 You need 2 identical printed photos if you are applying for a passport using a paper form. You need either printed or digital photos if you’re applying online. You’ll be told as you start your application what type of photo you need. 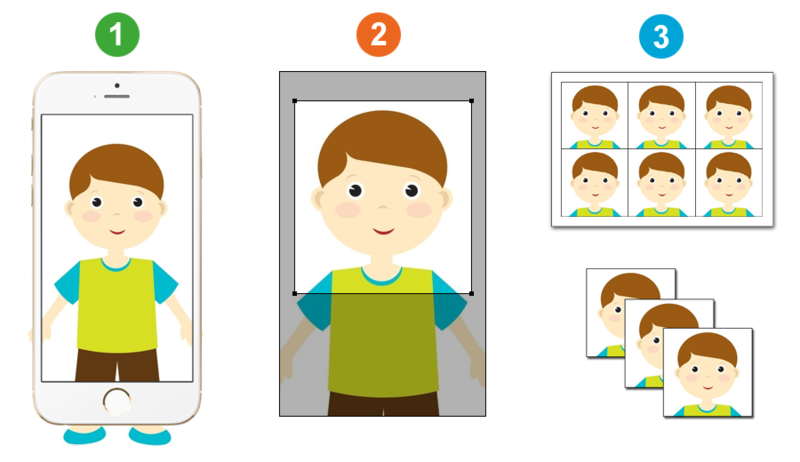 If you’re using a photo taken during your application, include your head, shoulders and upper body. Do not crop your photo - it will be done for you.